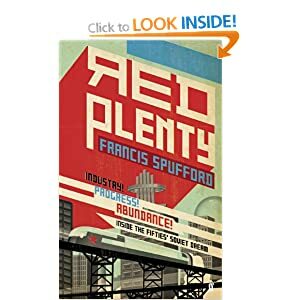 Francis Spufford spoke about his book on the economic contradictions of the Soviet Union, Red Plenty, on the Today Programme this morning. One aspect that he spoke about with the FT’s Gideon Rachman was the parallel with China of today. Many media observers are slightly too keen on extrapolating towards ever greater and more astounding triumphs. This is dangerous, but an inevitable problem given the number of English literature graduates in journalism. Put simply, in the 1950s the Soviet Union was on a terrific trajectory (cheap Ballet was mentioned in the interview), powered by the heavy lifting of central planning and the memory of victory in the Great Patriotic War. But of course it didn’t work out like that. Similarly, China is currently on a terrific trajectory, and the straight lines drawn from the present into some future future show that China will soon dominate the world. But of course it’s unlikely to be like that. It’s often said that journalists need to understand numbers a little bit more. That’s enormously important, but the understanding of numbers also needs to work alongside an understanding of history, of rises and falls and hubris and nemesis. I listened to a podcast yesterday that dealt with an example of this: one of the world’s great religions, alongside Christianity, Islam and Judaism. Well, it was, at least for century upon century. The religion was Zoroastrianism. It barely exists today – but today is a fairly arbitrary point from which to judge it.